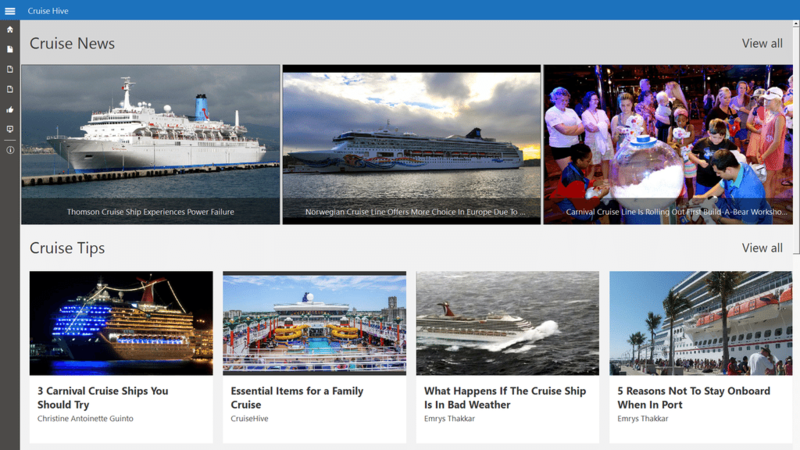 Cruise Hive is pleased to announce the new official app for all windows 10 devices. This includes desktop PC’s, tablets and Windows phones. Cruise Hive readers can download the app directly on the website or in the store by searching for “Cruise Hive”. 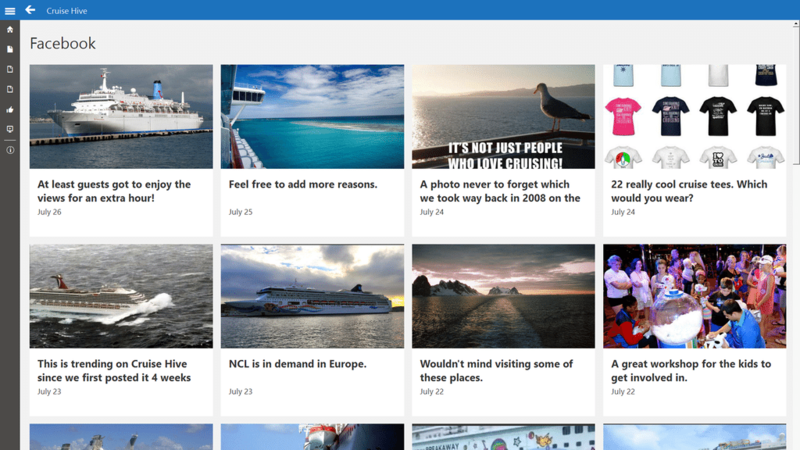 This is the first time Cruise Hive has ever put together an app for Windows 10 and we’ve been working on it for the last few months. It’s an early version of the app but those who download it from the Windows App Store or direct from the website can gain instant access to straight forward no mess articles. Articles include the latest cruise news, cruise tips and discover topics. Also included in the Cruise Hive app are the latest posts from our Facebook Page and Cruise Videos which is still in development. App readers will be able to get instant quickly readable articles with no annoying pop-ups, subscription forms or any other of those annoying elements often seen on blogs. Once readers download the app live tiles can be used. 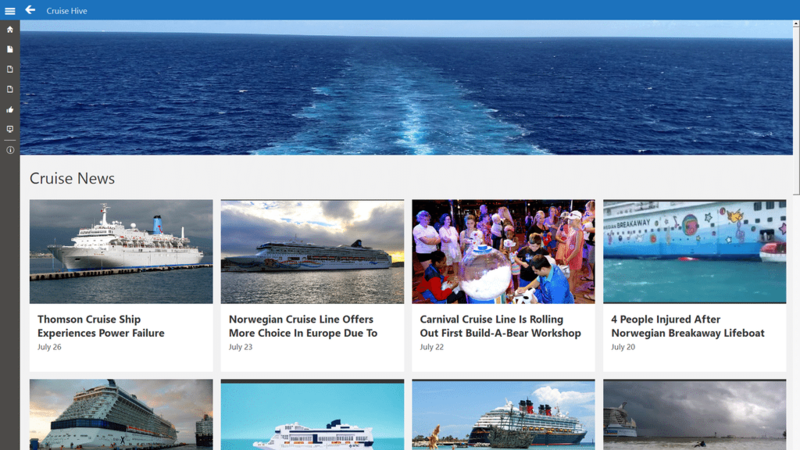 Simply pin the Cruise Hive App to the star menu and watch the live tile come alive with the latest news. App readers can change the size of the live tile depending on the device being used. As this is our first app there are much more features and improvements to come so we hope you can stick with us while we work hard to bring you the cruise industry in the coolest and most creative ways possible. Keep an eye open for latest versions in the app store as we constantly improve and release new versions.